It’s highly likely you’ll read this subheading too. This point though — right now — is where things get interesting. From here on in, I have to draw on my experience as a copywriter to keep your interest. That’s the harsh reality of digital content. While everyone, more or less, does read the headline, only about 10% of you will actually read this article to the very bottom. Around 79% will skim it. At a rate of 4 seconds per 100 words. I don’t blame you. Why would you read on? The internet is a graveyard for grammar. Take a fleeting glance at the comments section of any YouTube video and you’ll witness cardinal sins of syntax, nightmarish misspellings and an apparent disdain for the written word in general. Even when things are stylistically and grammatically correct, the web can be a portal to the pedestrian, especially where words are concerned. So much digital marketing and advertising content relies on archaic principles of print media – with no urgency, uniqueness, formatting, or appreciation for the medium. In an industry where we often hear that ‘content is king’, it’s far more the case that content is lacking. This needn’t be the situation. There are simple techniques to improve your digital writing. Here’s how to go from sloppy copy to killer content, and get your readers going beyond the headline. Learn how people read online. As I mentioned, people are far more inclined to scan. So what do you do? Grab a board before the audience gets bored – make like a S.U.R.F.A. Punctuate your copy with imagery and gifs too. More on that later. Succinct: Are you articulating concepts in the most efficient way possible? Don’t spend ten words saying what you could in three. Understandable: Can the audience understand the material? Is it accessible? Does it use phrasing and terminology people understand? Too many businesses use internally-focussed jargon with no consideration of their audience. Readable: Is the copy easy and enjoyable to read? Or, is it a monolithic slab of endless text? Findable: Can users simply and quickly find what they’re looking for? Actionable: Will people want to take action? And will they know exactly what to do in order to achieve their goals? Remember, the web is a functional space. Readers want clarity of purpose and closure; more information; to download a pdf; to purchase a new toaster; to donate; to sign up for the newsletter. Chances are, a lot of people went to a lot of effort to get someone reading your copy – toss the reader an easy alley-oop and help them achieve what they want. It’s surprisingly easy to overcomplicate things. Follow the four (almost) ‘R’s to strip the fluff out of your writing. Alternatively, make like Tupac Shakur and follow The Dotted Line Principle. Either way, the key is to loosen up and get your thoughts on the page – write with stream of consciousness if you have to. It doesn’t have to be pretty; just be productive. Write ten headlines. Write multiple introductions. Draft the conclusion six times. Great copy is rarely a ‘one-and-done’ process. This helps refine thinking while you explore increasingly creative avenues. Push your thinking around on the page and have some fun with it. Let it settle. Give your writing time to sit and review things later with a fresh pair of eyes. The interim period will help you adopt a more critical editorial perspective. Read what you’ve written. Aloud. It doesn’t have to be loud, but whisper each word and enunciate what you’ve written. If it feels awkward or uninteresting to read aloud, that’s exactly what it is. Make the changes and edits as you need to and don’t be afraid to repeat this process more than once. Good work is hard and hard work is good. Make your content the same way you’d make a sandwich. Think of copy like carbs. Carbs are often the main aspect of a meal – they’re where the significant, satisfying value of a dish is found. Online, words are the same. Consider words like the bread in a sandwich. They’re essential and they play a foundational role. But these days, few people will sit down and tuck into a bread/bread sandwich. Years ago, bread was more than enough. Today, the contemporary palette is far more varied – we expect gruyere, pickles, mayonnaise, tomato, lettuce, prosciutto, chicken, relish, and all other sorts of delicious delicacies. We need more than the basics, no matter how considered they may be. Give people flavour. Offset your writing with other media to make your content more impactful. Consider photography, interviews and pull quotes, graphs to showcase data, audio files, gifs, embed video, make some aspects interactive, and do anything else you can imagine and implement. Behold the hypnotic power of the sandwich. Storyshowing is infinitely more engaging than storytelling. The more tangible and comprehensive a sense of the subject you create, the better. All good copy is dual-purposed. ‘Feel’ encompasses voice and tone; these are the aesthetic considerations that determine how audiences perceive your message. Voice alludes to your point of view and personality – how you see the world. A good, strong voice can often be articulated like a character. If ‘voice’ is your personality, then ‘tone’ is your mood at any given time. Tone is the spectrum of usable temperaments within a certain voice, applied in accordance with the context and content of the message. For example, if your established voice is inclined towards humour, then your tone could be sarcastic, whimsical or nonsensical. It depends on the wider identity of your brand, what you’re writing and who’ll be reading. ‘Function’ is comparatively much more straightforward and… functional. People who visit a website are often referred to as ‘users’. They are there to use something – written copy is there to help each visitor achieve a practical goal. It could be something as simple as clearly articulating an outcome in an efficient or appealing way: ‘get our newsletter’ feels easier and more rewarding than ‘sign up’. Or, it could be more subtle: gradually influencing reader perceptions of an issue, experience, service or product over time. Whatever the case, good copy will reiterate and enhance audience perception of a brand, and help users complete an objective in the most efficient and enjoyable way. Appreciate the value of a headline. ‘Once you’ve written the headline, you’ve spent 80 cents of your dollar.’ – David Ogilvy. Ogilvy was bang on the money on a few things, but he particularly nailed this quote on headlines: statistically speaking, eight out of ten people will read a headline, while a paltry two out of ten will continue on to read the body copy. Traffic can vary by as much as 500% based on a headline alone. When your content can succeed or fail on the headline alone, it’s worth considering how you can optimize them. Consider the four ‘U’s of headlines. Useful: what will I gain from reading this content? Everyone loves something for nothing. Offer a benefit. Solve a problem. Give the audience something interesting to take from the material. Ultra-specific: what exact information am I going to glean from this piece? The easier things are on the internet, the better. Eliminate the guess work. Unique: Is the headline interesting? Does it stand out? A handy tip for writing a unique headline – complete your piece, select the most opposed or idiosyncratic ideas contained within, and blend those concepts comfortably in the headline. As a quick example, this piece could be titled ‘Why you should write like a surfer with a sandwich’. Alternatively, try an interesting question or statement, alliteration, something unexpected, or get creative and pen a flip-line – they’re awesome for a number of reasons. Unfortunately though, there really is no blueprint on how to be unique. That’s the whole point; think outside the box. Urgent: Will the reader be prompted to act or read immediately? WILL THEY??!!!!! In reality, urgency is less about being pushy or aggressive and more about making things as easy or interesting as possible. Avoid ‘friction words’: any verb that places onus on the user for activity. 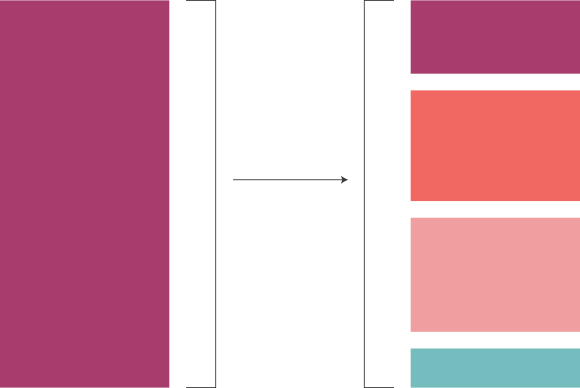 For example – ‘order’ vs ‘receive’. Alternatively, create urgency by making your headline compelling: ask an interesting question that will spur people on in hope of finding the answer. Don’t write clickbait though. If it smells like clickbait, it stinks. This is an easy fix. Appropriate formatting immediately lifts the impact of writing. Remember, people scan online; very few read. As a result, avoid the dreaded slab of text. A non-descript slab of text is difficult to break down. It is intimidating and inaccessible. It is bland. The ‘enter’ key is your friend. Embrace short sentences and short paragraphs. Don’t try to combine too many ideas into either one. Ideally, keep paragraphs to between two and five sentences. Try bolding sections of copy for important points. Italicising words also creates emphasis on certain aspects of your writing. Be careful not to overuse these techniques though – they can have the exact adverse effect and be overwhelming or distracting. ‘Quotes are also a great way to punctuate imposing slabs of text, and attribute importance to key or creative insights’ – Elliott Grigg. Use the right tools to write the story. Good content goes beyond copy; sometimes even the best writing is the wrong approach. Consider the story you’re trying to tell and the best platform or medium for that specific narrative. For example, take these two pieces and the approach of each. 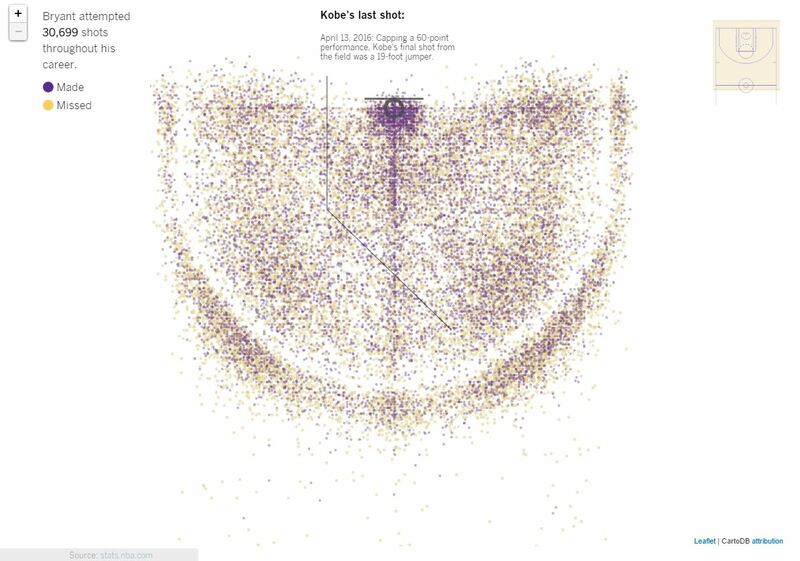 Here’s every shot Kobe Bryant ever took in the NBA. Instantly, you get a comprehensive sense of the story at hand. The insight is immediate – even if no one scrolls beyond the headline in this case, the audience will take something away from having viewed the piece. Especially when you’re hooked by the interactive element of the visual display. Hover your mouse over any point on the graph and you’ll view the details of the distance of the shot, when it was taken, and the opposition it was taken against. Including the headline and author credits, there are 83 words in this piece. It’s completely fine to take a minimalist approach when the material warrants it. Vince Carter at the Sydney Olympics. Same sport, different story. While Kobe’s shooting record is a narrative steeped in statistical analysis, Vince Carter’s famous dunk over 7-foot-2 France centre Frédéric Weis at the Sydney Olympics is a show-stopping phenomenon of raw athleticism. This piece revisiting the event – In a Single Bound – tells the story and captures that fact in the headline panel, before you’ve read a single word beyond the headline. It then offers photography, videos, and Tweet-long analysis of the moment from a raft of basketball personalities: fantastic, comprehensive coverage for readers who choose to scroll down for additional detail. Both of these stories succeed because the reader comprehends the narrative immediately – your interest is piqued and before you know it, you’re halfway through the article. Both pieces use the ‘sandwich’ formula: employing copy as necessary in the best way to tell the story. In a world where readers aren’t actually readers at all, scannability, immediacy and engagement are key. Achieve them however you can. There you have it; easy techniques to boost your content. Some can be implemented straight away. Others may take time. Since you’re part of the 10% that are still reading, I’ll summarise.. Remember how people read online – they don’t. Write like Tupac or Ernest Hemingway – it’s easier than you think. Make your content like a club sandwich – varied and consumable. Consider feel and function – identify yours and inhabit both. With more than five years' experience working in digital agencies, as well as a staff writer for Fairfax Digital, Elliott has a breadth of copywriting experience for a wide array of businesses. Working with a number of FMCGs through to manufacturing and Government departments, Elliott helps clients convey their messages in clear and concise copy for the web. 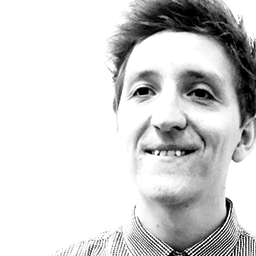 When he's not composing words, you'll find Elliott composing music in his spare time and cooking up the odd enchilada!